1. Unfollow anyone you don't enjoy following. Whether they make you jealous, give you FOMO, or you just don't want to follow them anymore. Clean up your following list to just the people you truly enjoy following. I went from following 528 to 304. Now I only see posts from people who motivate and inspire me. 2. Mute stories: Did you know you can mute people’s stories so they don’t show up in your story feed? You’re still following them and can see their stories if you want to but when you’re watching your feed it won’t jump to them automatically. 1. Press on the story circle of the person you want to mute. 2. Tap mute username at the bottom. Now you won't see their stories unless you scroll all the way to the end! To un-mute someone just scroll to the end where their username is grayed out and tap their circle and choose un-mute username at the bottom. This has been a huge time saver for me. I love watching stories but I get sucked in and waste so much time. Watching other people’s stories doesn’t advance my business. I also like completing things and I could never ‘finish’ my stories reel. Now I only watch people who talk to the camera, teach me something, or are entertaining. 3. Spruce up your bio: Do people clearly know who you are and what you do when they land on your feed? Do they know where you’re located? You can write out your bio in the notes app and copy and paste to your Instagram bio for a cleaner look. 4. Follow relevant hashtags: I follow local hashtags so I can engage with my peers but I don’t have to follow every local creative. When you follow a hashtag, posts under that tag will pop up in your photo feed. 5. Organize your highlights. I have a detailed blog post on how to make cover photos for your highlights. Add any pertinent information and delete your highlight clutter. 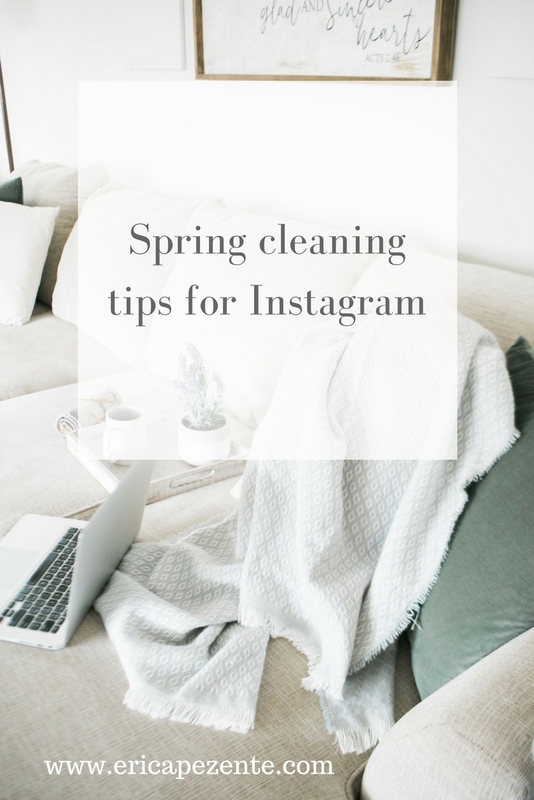 I hope these tips help you clean up your Instagram and get you thinking about who’s content you consume and why. Next week I’ll be posting my thoughts on the Algorithm and the follow/unfollow method that’s driving everyone crazy. I’ll share my tips for dealing with it and why you shouldn’t care if people unfollow you!